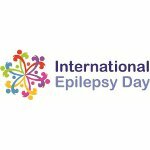 International Epilepsy Day is celebrated on the second Monday in February. It was launched as a local event in Warsaw in 2009 and became an international awareness day in 2015. Epilepsy Day was first observed in Warsaw on February 14, 2009 as the Day of People with Epilepsy. This date was chosen as February 14 is the feast day of Saint Valentine, the patron saint of people the epilepsy. The campaign was launched by a number of national and local associations of people with epilepsy. On February 14, 2011 European Epilepsy Day (EED) was launched. The date was moved to the second Monday in February. Coincidentally, the first EED fell on February 14. Since then, EED has grown and eventually transformed into International Epilepsy Day. It is held by the International Bureau for Epilepsy and the International League Against Epilepsy. This awareness day is aimed at drawing the attention to the needs of people who suffer from epilepsy, not only medical ones but also the need for understanding and acceptance. Another goal is to provide people with information about the symptoms and teach them how to react when they witness a seizure and how to help a person having epileptic seizures. About 1% of people worldwide suffer from epilepsy. Although in most cases seizures can be controlled with daily medication, everyone should know how to provide seizure post aid.